Sales and use taxes are driving boaters away to other states, according to brokers. Can a cap on taxes reverse the trend? STATEWIDE—Resistance to pay taxes is practically an American birthright. We can trace our reluctance to part ways with our hard-earned cash to as far back as the Boston Tea Party. The fight against governmental levies on personal income and purchases continues almost 246 years after the Tea Act of 1773 was imposed upon the American colonies. Leading the charge of this specific tax battle is not Samuel Adams or Paul Revere but instead a lobbyist with The Apex Group in Sacramento. And the levy in question: sales and use taxes on watercraft purchases in California. Hoping to take the lead in the fight against sales and use taxes on watercraft purchases is the California Coalition for Maritime Development (CCMD), a group recently formed to reduce the governmental levy boaters face when purchasing watercraft. CCMD is also campaigning for a cap on taxes assessed on larger yacht purchases. 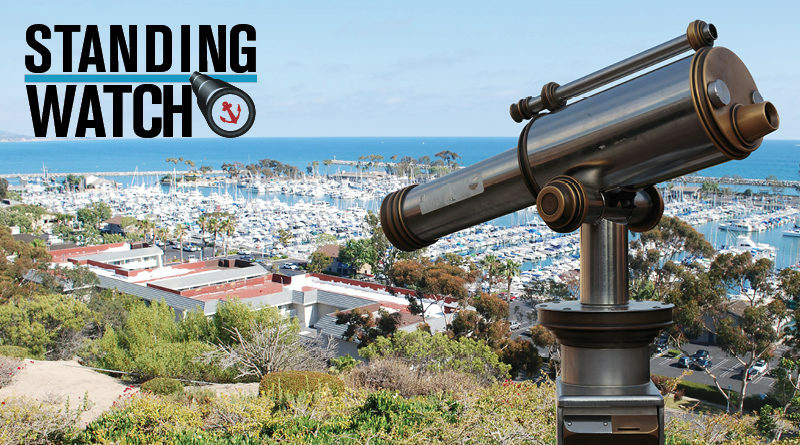 The CCMD campaign is on the agenda at the upcoming California Boating Congress, scheduled for March 6 in Sacramento, with the seminar discussion to be spearheaded by Lobbyist Bret Gladfelty of The Apex Group. Anyone following the boating industry in recent years is likely aware of the other discussion being had: Is boating a dying pastime? Some industry leaders and experts could easily argue the taxes assessed on watercraft purchases in California are a significant barrier to entry. The same leaders and experts would point to states such as Rhode Island and Florida, where there are tax incentives favoring boaters. Is California’s collection of sales and use taxes on watercraft too high? Are such taxes so high as to serve as a barrier to entry for boating (or make the activity too expensive for current boaters)? Will a cap on taxes assessed on large yacht purchases spur boat sales? Dean West, a yacht broker in San Diego, said California’s boating industry faces stiff competition from other states, such as Florida, where a cap on sales or use taxes are in play. Florida, West said, caps its sales/use tax at $18,000, comparable to an eight percent levy rate on a $225,000 boat in California. “As you know, a $225,000 boat is not much more than a small family express cruiser, at today’s prices,” West told The Log in an email. West added California is losing a significant revenue stream because of its current tax policy. The Log, in an October 2016 article, headlined, “Are taxes on boats to onerous in California,” previously compared taxation practices in the nation’s most populous state against other the likes of Florida, Rhode Island and Washington. Florida offers boaters an $18,000 cap on sales/use tax. The state of Washington explored a similar limitation on sales/use tax. “Tax-friendly states are making it easy on boaters to make port and spend money locally (which, potentially, is less money spent in California),” The Log’s October 2016 article stated. Another focus of the same article: whether sales and use taxes are, as West proclaimed above, bad for business in California. Maritime attorney David Weil, who used to pen a column for The Log, previously stated the perception of sales/use taxes being bad for boaters and businesses certainly does exist, but empirical evidence to support such a claim is not available. “The yacht brokerage industry has argued that sales and use tax laws in California have been bad for business. There is a certain anecdotal logic to that claim but there is no objective evidence that I am aware of,” Weil was previously quoted as saying. An effort to limit the reach of taxation on boaters, nonetheless, charges ahead. Already joining the coalition to challenge the effects of California’s taxation on the boating industry are representatives from several recreational marine organizations such as California Association of Harbor Masters and Port Captains, California Yacht Brokers Association, Marine Recreation Association and National Marine Manufacturers Association. “Our goal is simple, to create a sales and use tax cap on all watercraft in California,” West told The Log. ← Choppy Waters: Will the future of boating ever find smooth sailing? Do you really think the COMMIES in Sacramento will reduce taxes? How will the pay for their Health Care for all? Is CCMD on the right track in campaigning for a tax cap on large yacht sales? Are taxes making boating more unaffordable? Or are we making mountains out of molehills? Share your perspectives with the following thought leaders to help direct future action.